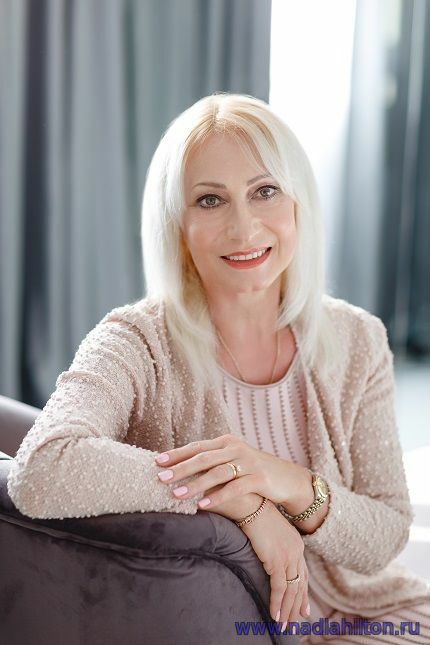 Nadia Hilton is an experienced and fully qualified innate Spiritual Healer, Parapsychologist and award-winning author. She is a registered and accredited member of the Christian Spiritualist Society & Healer Practitioner Association International (HPAI). Over the last 25 years, Nadia has worked with Russian-speaking clients around the world. In her private practice, she uses her own unique methods and techniques of Therapy, Coaching and Training. She has written several books about the laws of the universe, mysticism and paranormal phenomena in our lives. Nadia works with clients in all psychological states of mind, even the most challenging ones. Through coaching and therapy, she helps them overcome the difficulties that they may be facing and restore peace and comfort in their life. She can also assist in matters related to paranormal experiences. Nadia speaks both Russian and English. Nadia: - Hello and welcome! I was born in Russia in 1961, but since 2000 live and work in London. I’m happily married with children and grandchildren. Another great achievement of mine is the ability to lead a full life with extreme health conditions like severe viruses and an autoimmune disease called Lupus. More than fifty years of struggle helped me understand a complex structure and operating principles of the human body and all its systems. This knowledge gives me the opportunity to help other people to recover and improve their well-being, by teaching them basic skills of communication with their body and subconscious mind through acceptance of their own intuitions, desires and unexpected changes in the body. Payment of the invoice has to be done in advance through PayPal system. Pay for 5 sessions in advance and receive 6th one for free. Cancellation policy: Payments are non-refundable. If you cannot attend your session, you can reschedule up to 48 hours before the appointment.